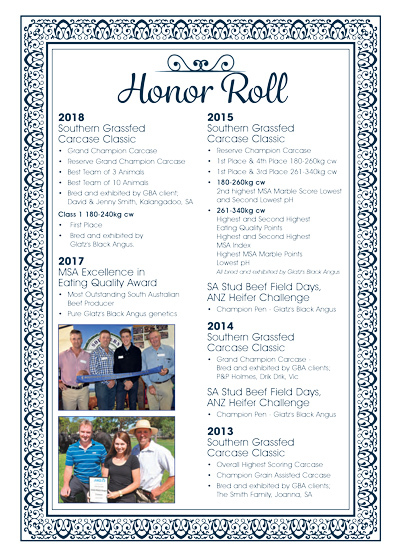 Black Angus Complement L51 "Selwood"
Black Angus Equator H11 "Fig Jam"
KALANGADOO beef producer David Smith has blitzed the hotly contested Southern Grassfed Carcase Classic. 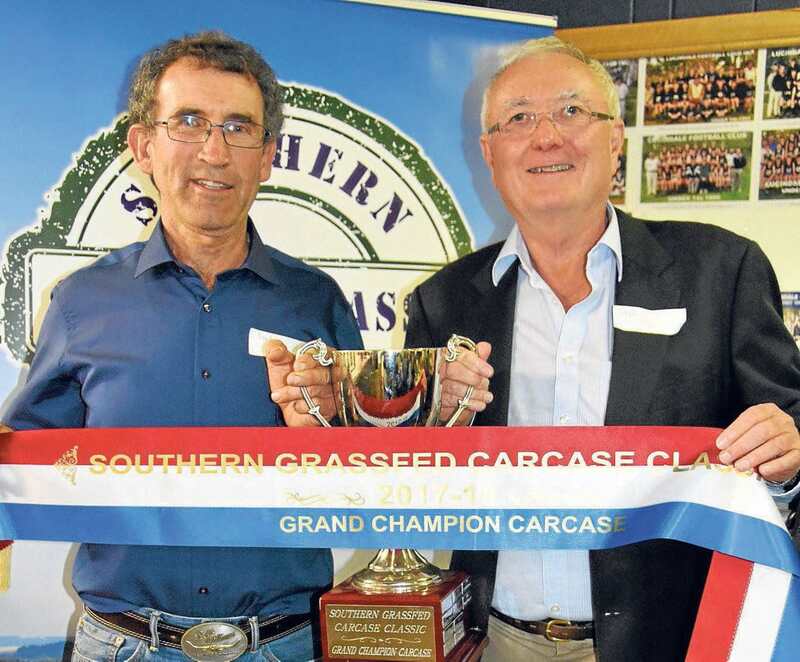 Mr Smith was shocked by his success in the nation's largest grassfed beef carcase competition, held at Teys Australia's Naracoorte abattoir. He was encouraged to enter by SGCC member, Ben Glatz, Glatz's Black Angus, Avenue Range, who has been supplying him bulls for the past four years. "Single Steer or Heifer 180-240kg" This particular heifer was a convincing winner of the class with an MSA Marble of 480, MSA Index of 62.02 and Ossification of 140.